Continuing forth with a study of Missoula breweries, the Harrington's took Hyunhee and Hakcheol to Kettle Works where they shared a sampler before ordering a few pints. 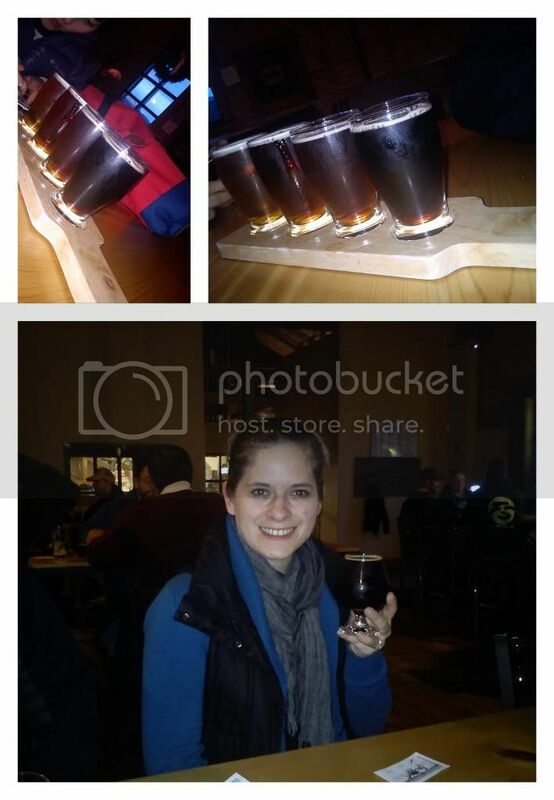 True to form, Melissa ordered something dark: The Brick and Mortar Porter. Because of a difficult time distinguishing each beer on the sampler, Mike was not entirely sure what he ended up with and in their weakened ability to drink like American's the Kim's split a Lake Missouola Amber. The brewery was filled the entire time the Harrington's and Kim's were drinking there, and the group was definitely grateful to have had entered just in time to snag a table. Although the building is quite large, it's obvious their popularity could withstand a few more tables, regardless, the real reason any one goes to a brewery is to enjoy a quality beer, and that dear readers, is exactly what you'll find at Kettle Works.